King Abdullah expected to ask Prime Minister Hani Mulki to resign following protests over economic policies. 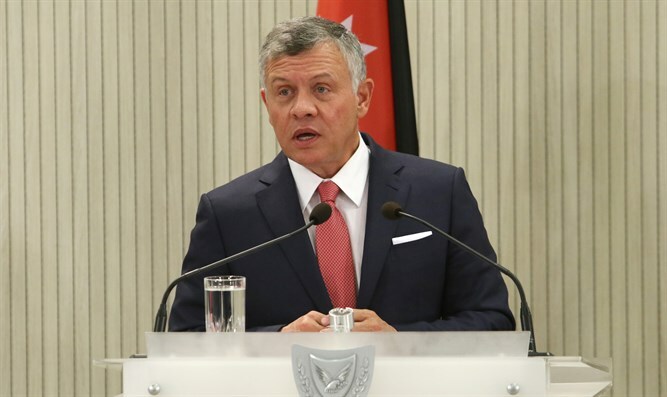 Jordan's King Abdullah is expected on Monday to ask Prime Minister Hani Mulki to resign, political sources said Sunday night, according to Reuters. The move is a bid to soothe widespread anger over economic policies that sparked the largest protests in the kingdom in several years. The dismissal of Mulki was demanded in a series of protests against IMF-backed tax increases that have shaken the kingdom. The sources said King Abdullah had ordered Mulki for an audience in his palace on Monday morning. Mulki imposed steep IMF-mandated tax hikes early this year to cut rising public debt. The increases have hit the incomes of ordinary Jordanians, causing his popularity to plummet. Mulki was named by the King as Prime Minister in May of 2016, after Abdullah dissolved the country’s parliament. Jordan's economy has deteriorated in recent years for several reasons, including the conduct of recent governments and the kingdom’s intake of over a million Syrian refugees. Jordan's main political opposition in recent years has come from the Muslim Brotherhood movement but it faces increasing legal curbs on its activities, leaving mostly pro-monarchy parties and some independent Islamists and politicians to compete in these elections, political analysts say. At the same time, compared with the tough crackdowns on Islamist groups in Egypt and Gulf countries, Jordanian authorities have been relatively tolerant of the Brotherhood's presence. The Brotherhood wants sweeping political reforms but stops short of demanding the overthrow of the monarchy in Jordan.